Nancy Krop '87 has taken on a wide variety of cases over the course of more than two decades of practicing civil rights and employment law in the San Francisco Bay Area, but they all have one thing in common. "I only take cases I really believe in," she said. "Usually, I'm looking for a wrong that needs to be righted." Krop has taken on many such cases since earning her J.D. from UC Davis School of Law, where she was the Martin Luther King, Jr. Award Honoree in 1987 as well as co-founder and first president of Equal Justice Works. Focusing on employment discrimination, sexual harassment, wrongful termination, and whistleblower suits, she has enjoyed several remarkable successes, including a Freedom of Information Act suit that effectively forced the Department of Defense to ensure proper apportionment of millions of dollars of subcontracts to minority-owned businesses. 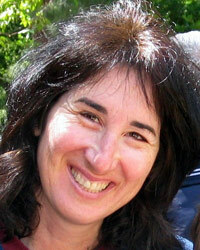 Krop's most high-profile case was undoubtedly a whistleblower suit against University of Phoenix that resulted in a $78.5 million settlement, brought national media attention, spurred ongoing government investigations of the for-profit college industry, and resulted in Krop being named as a California Lawyer magazine California Lawyer of the Year in 2010. "What drew me to the case was the fact that the victims were very poor, uneducated people who were being scammed, and our tax dollars were being used to do it," said Krop. "I talked to a lot of them about their dreams of getting an education and changing their lives, and instead they were left with devastating debts and ruined credit. I found it very offensive that our tax dollars, which were supposed to help poor people get an education, were being used to scam these people, and I wanted to do something about it." Krop's passion for social justice, first inspired by her parents, was nurtured at King Hall, which she said was "a very supportive environment for someone wanting to do public interest work." As a student, Krop was able to gain valuable experience clerking for Judge Lawrence Karlton of the U.S. District Court, Eastern District, and for the Yolo County Public Defender. Professor Marty West was a major influence, as her Employment Discrimination course interested Krop enough to prompt her to pursue her first job working for a San Francisco civil rights and employment law lawyer. The University of Phoenix lawsuit came about in 2003 after Krop was approached by two former university employees who alleged that the school was paying incentive compensation to recruiters--a violation of the Higher Education Act--and aggressively recruiting unqualified students, knowing that many would be unable to complete their degrees or repay their loans. Krop filed suit in 2003 under the False Claims Act, alleging the university improperly obtained millions of dollars in financial aid based on false statements of compliance with the Higher Education Act. The case was dismissed by the trial court, then reinstated by the U.S. Court of Appeals for the Ninth Circuit, at which point the university petitioned the U.S. Supreme Court. The Supreme Court declined to hear the case, and two years later, in December 2009, after a great deal of discovery and with the trial date fast approaching, the university's parent company agreed to pay a $78.5 million settlement, the largest-ever in a False Claims Act case. Krop said that although the settlement is significant, the lawsuit's most important impact has been to draw attention to for-profit colleges, which enroll about 12 percent of the nation's higher education students yet account for nearly half of all student loan defaults. "The best thing about that lawsuit is that it brought some important issues to the forefront," she said. "Previously, most people really had no idea of the problems that existed with some of the for-profit colleges and what they were doing to poor people in this country. We got the media interested, including the New York Times and 60 Minutes, and now some very good people in Congress are investigating, so hopefully change is on the way."